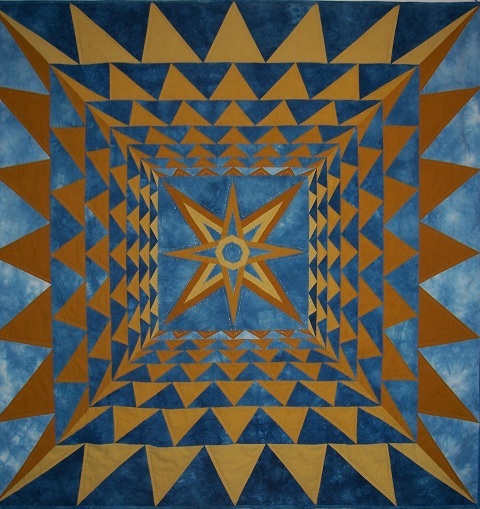 This quilt was made with a Winnipeg quilt show in mind, but was never entered. Using the same concept as the Vasarely-inspired quilt “Imax”, I added a star in the centre and framed it with flying geese. Machine quilted.